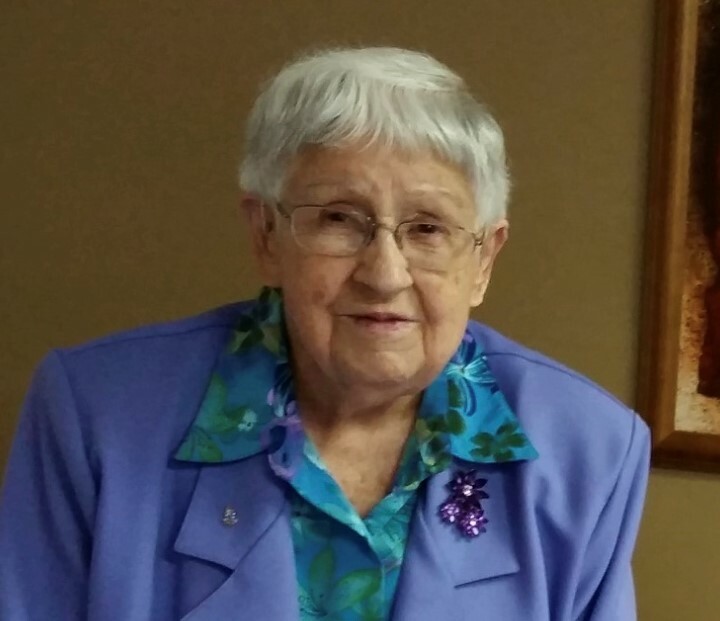 Isabelle (Lund) Heaton Brown, age 93, of Frankton, passed away on Friday, March 22, 2019 at St. Vincent Mercy Hospital in Elwood following an extended illness. She was born in Pendleton on October 26, 1925, to the late Fred and Edna (Moore) Lund. Isabelle was a graduate of Pendleton High School. On July 1, 1944 she married Leonard W. Dickinson Heaton and he passed away on July 16, 1985 Following his death Isabelle married Roy M. Brown on June 11, 1994 and he passed away on March 16, 2008. Isabelle was a farm wife and homemaker most of her life but held various positions over the years to held raise and support her family. When her children were growing up she always enjoyed hitting home-runs over the barn to make her kids go find the ball. Isabelle was a member of Frankton Christian Church, Pythian Sisters Lodge #264, and a member of the A.W.P.. She will be sadly missed but lovingly remembered by her family and friends. Isabelle is survived by her five children, Dixie Grant of Elwood, Elaine Davis of Centerville, OH, Roberta (husband Clifford) Sarver of Barnett, MO, Terry Heaton of Elwood, and Scott (wife Debbie) Heaton of Anderson; 14 grandchildren; several great-grandchildren; and several nieces and nephews. Isabelle was preceded in death by her parents Fred and Edna; two husbands Leonard and Roy; great-grandson Heath Grant Davis; and two sisters, Elizabeth Lemon, and Barbara Garrison. Funeral service will be at 11:00 am Wednesday, March 27, 2019 at Harper & Dunnichay Funeral Home, 305 East Sigler Street Frankton, IN 46044 with Rev. Roger Brooks officiating. Burial will follow in the K of P & I.O.O.F. Cemetery in Frankton. Visitation will be Tuesday, March 26, 2019, 4:00 pm - 8:00 pm, at Harper & Dunnichay Funeral Home. Memorial contributions may be made to Frankton Christian Church or Rex's Dedication to Education through the funeral home.